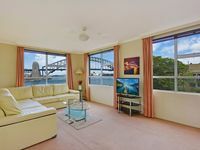 Property 10: Bondi Beach Dreaming Apartment - 300 m to beach with free Netflix and Stan. Property 21: Sleek Pad- Balmoral Slopes - stroll Mosman & Spit Junctions - Views! Property 35: "Lieu de Ville Suite"
Property 48: BONDI BEACHSIDE Stand alone Semi detached apartment steps from Bondi Beach.